Pink Beach is located on Komodo Island. This is one of the most visited destinations on Komodo Island Tour Package. 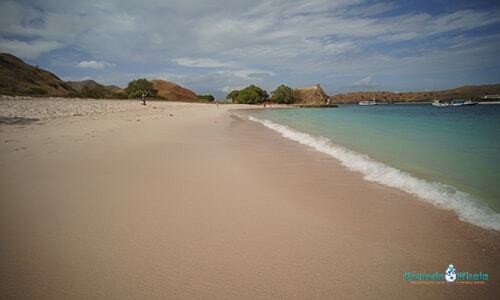 The beautiful white and pink sandy beaches, make it become one of the iconic beaches on Komodo Island. This could be the reason that this beautiful beach has to be listed on every traveler's plan around the world. The way to reach Pink Beach is taking the tour package to Komodo Island from Bali, Lombok and Labuan Bajo. If you are in Bali and hoping to start the tour on the same day your flight, then you need to take a flight in the morning around 07.00 AM. But if you want to start on the next day, then you can take an afternoon flight from Bali. And then stay a night in Labuan Bajo, the next day you will start the tour. If you are in Lombok then there is boat trip sailing from Lombok 2 times in a week, see tour packages in Komodo Island for details tour itinerary. 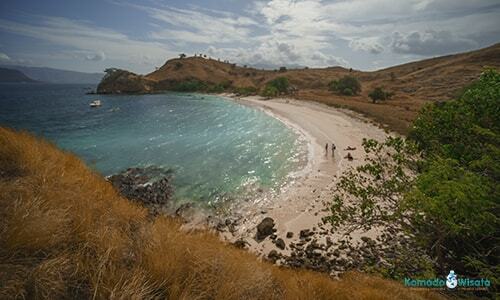 The option for Pink Beach tour can be arranged together on one package with Komodo island tour. The offering is most multiple tour packages. And most of the packages are including visits to the island. The best thing before you decided to visit the island is finding a good time between April to September. There is dry season during these months, so you can visit the island during these time.